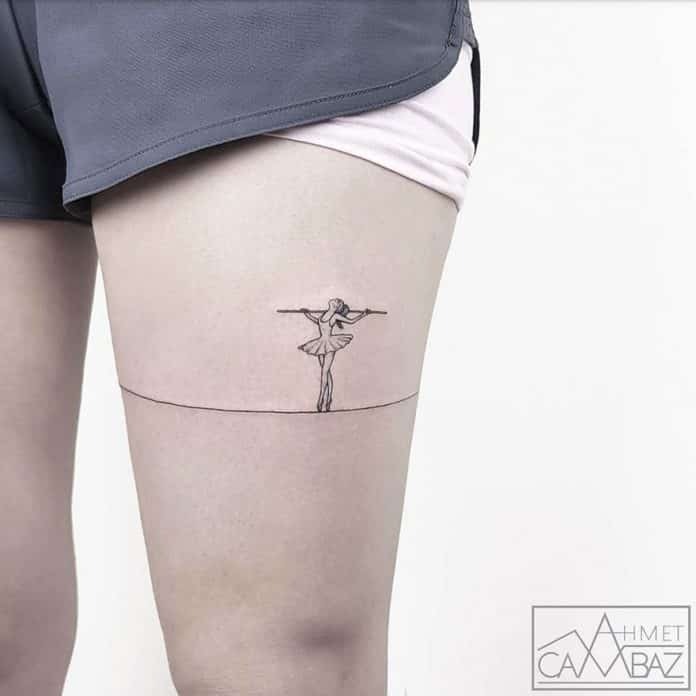 Tattooed on someone’s leg, a ballerina stands tall and poised, holding her head high while balancing on her toes. 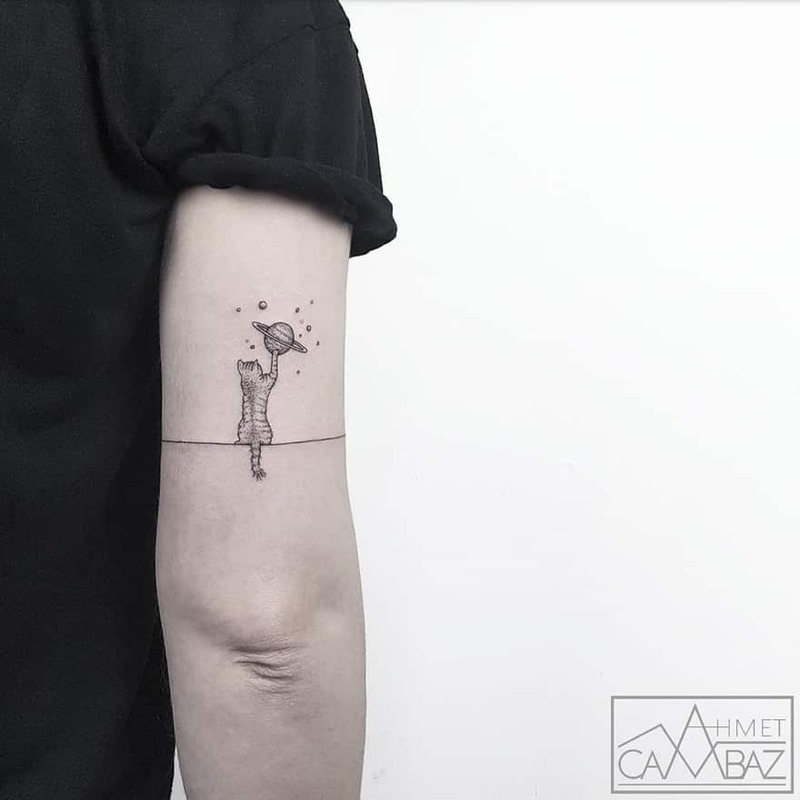 She looks to the sky with the same grace and determination that real life ballerinas have. 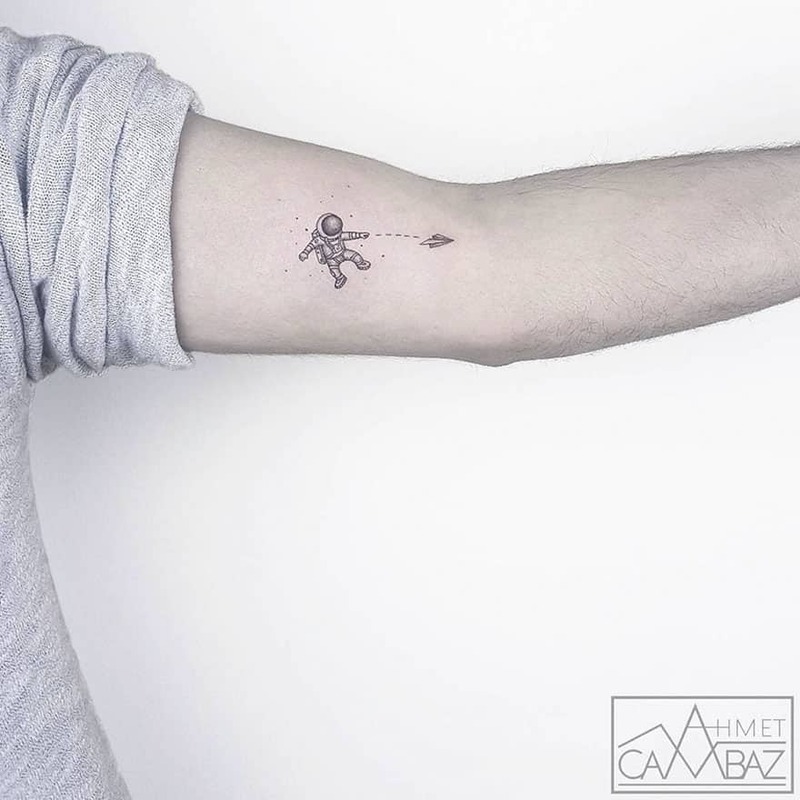 On the inside of another person’s arm, a small cartoon astronaut floats in space, sending a tiny paper airplane into the ether. 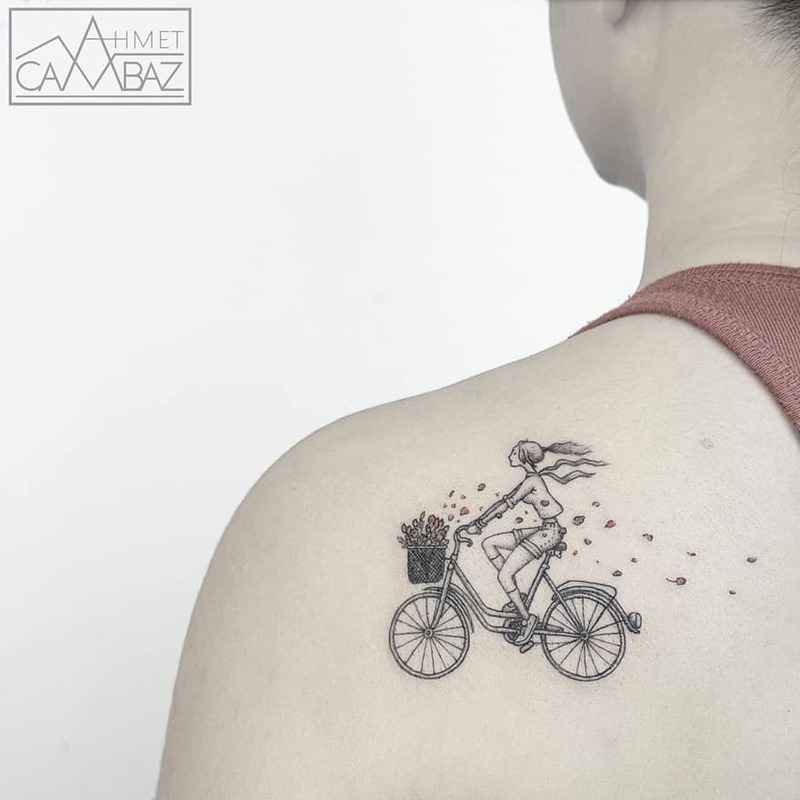 Tattooed illustrations of a vespa, panda, and even Snoopy are scattered on various limbs, and inked upon a person’s chest is a surrealist image of a beautiful woman wearing bright red lipstick being circled by a bicycle. 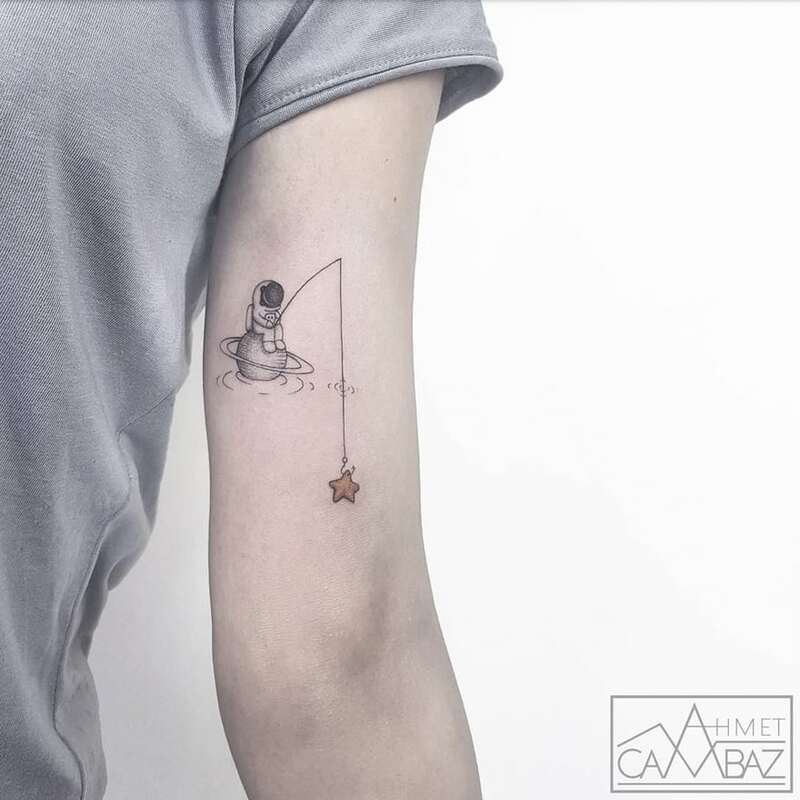 These tattoos have a childlike quality. 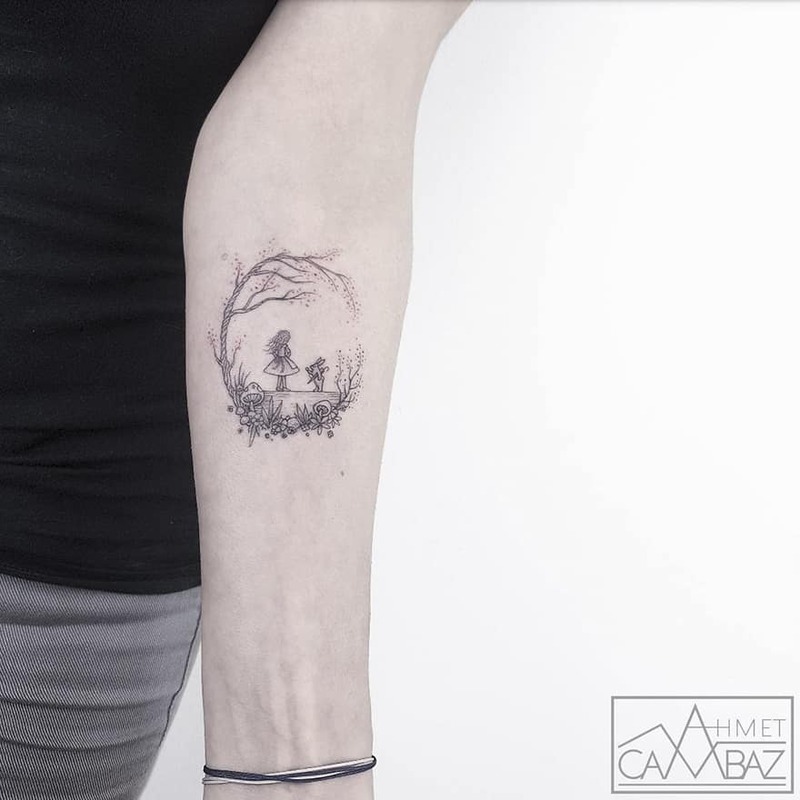 Each transforms a bare patch of skin into a delicate design with its own story. 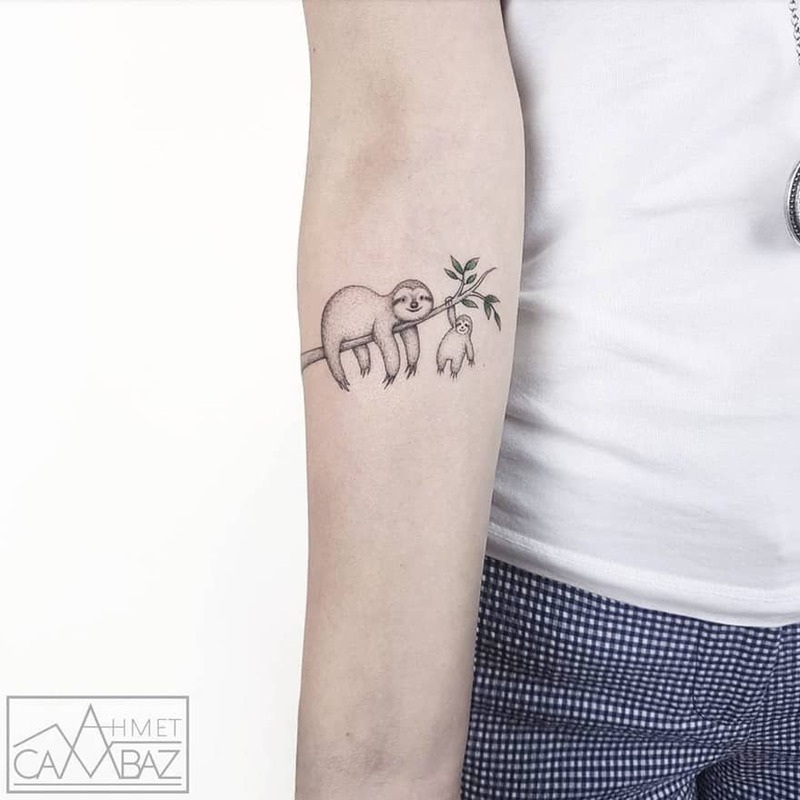 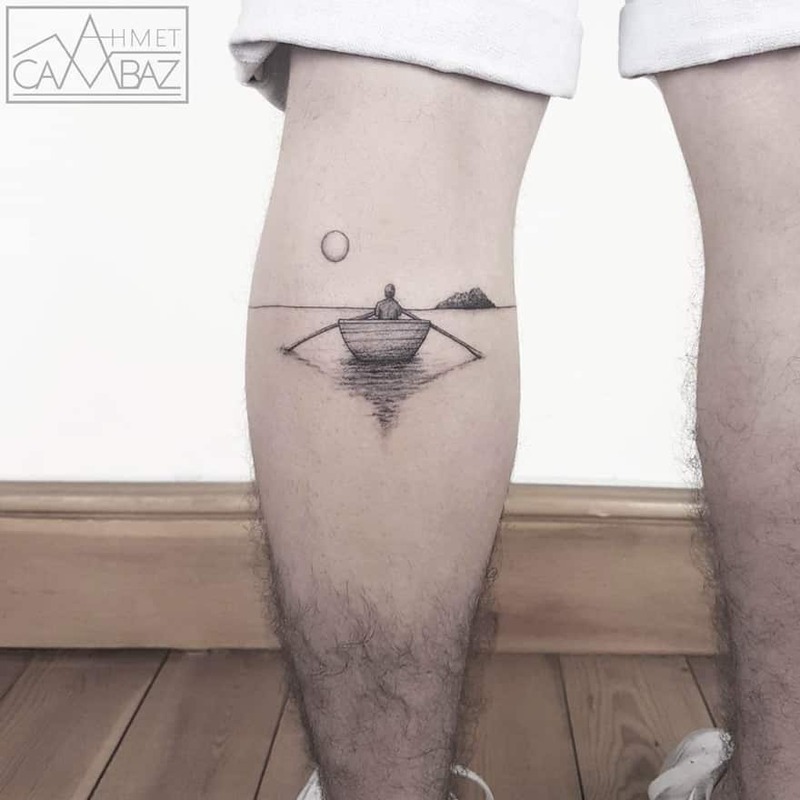 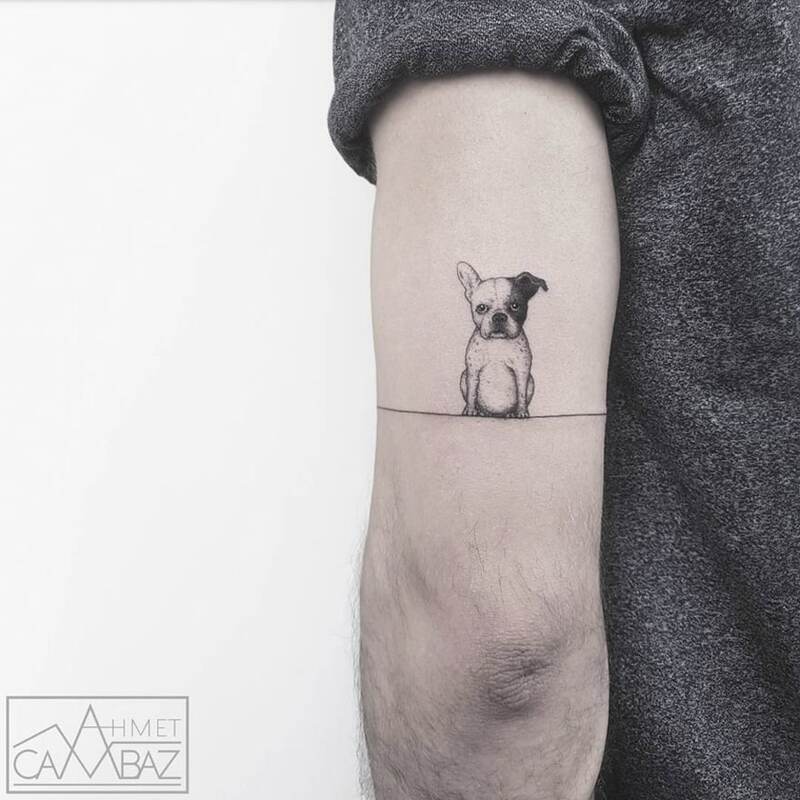 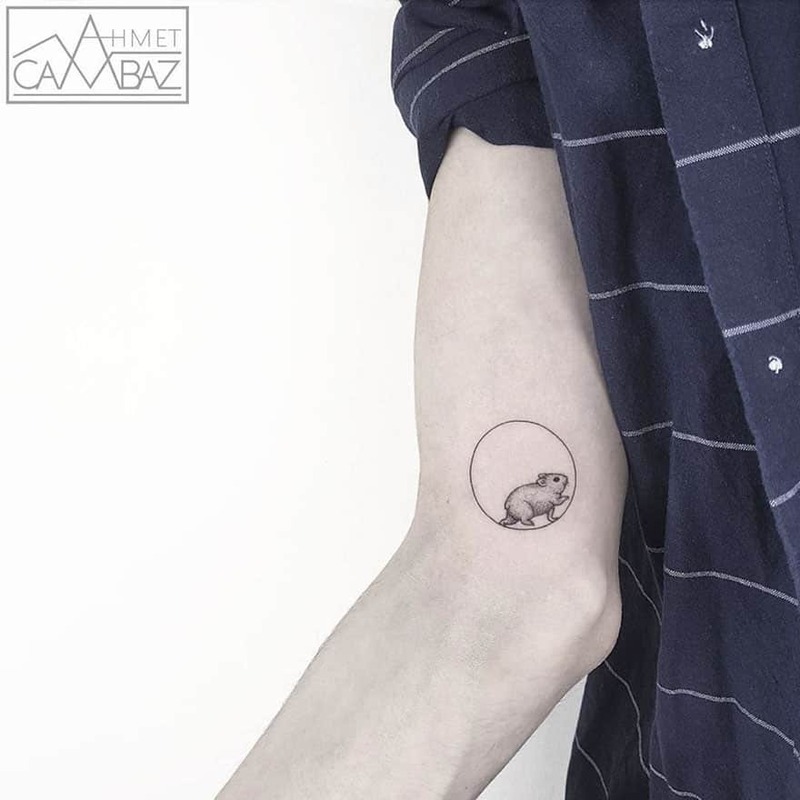 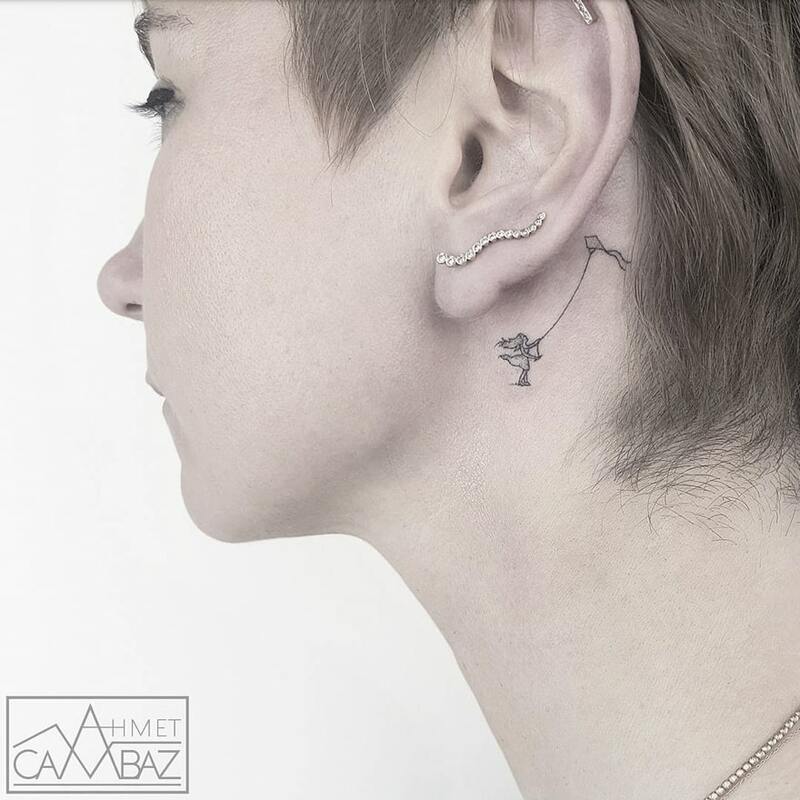 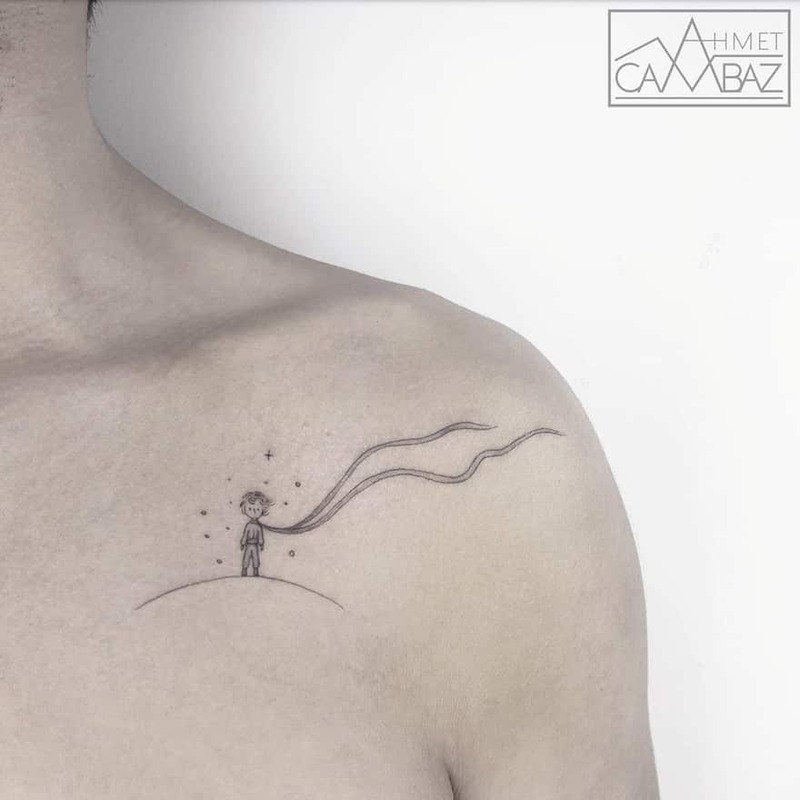 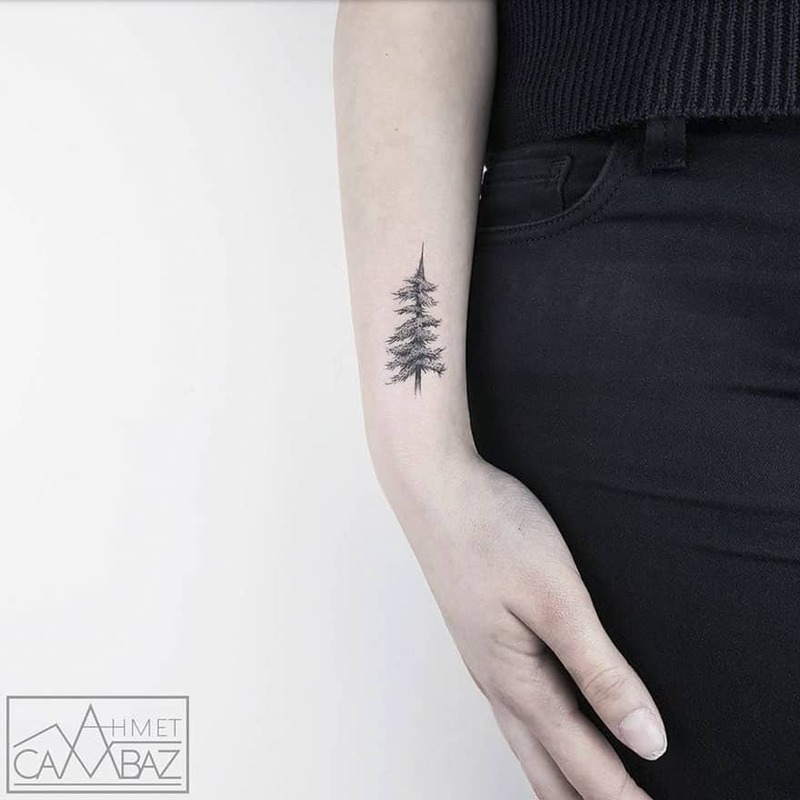 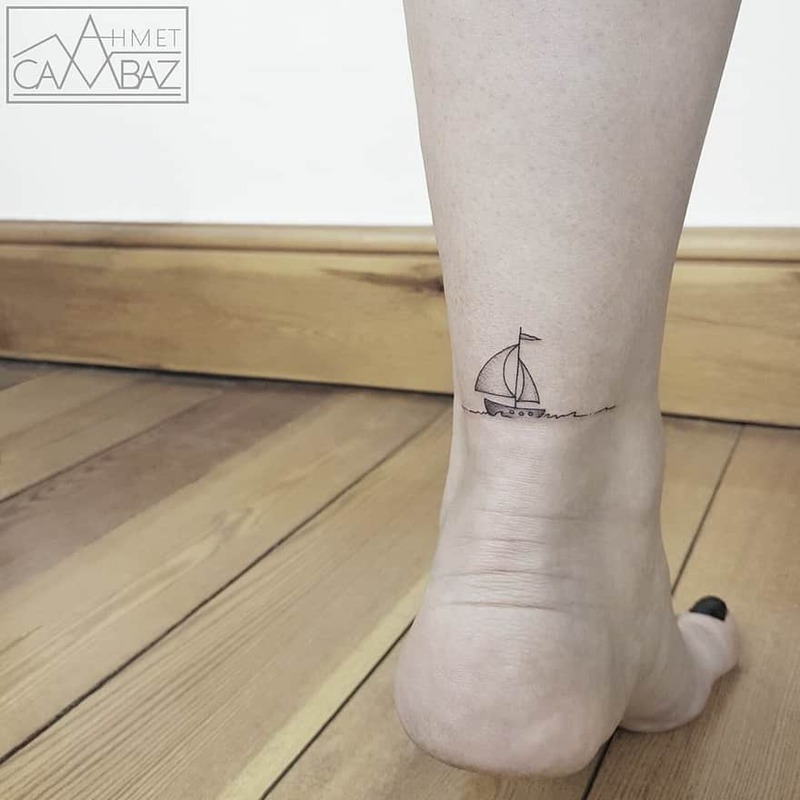 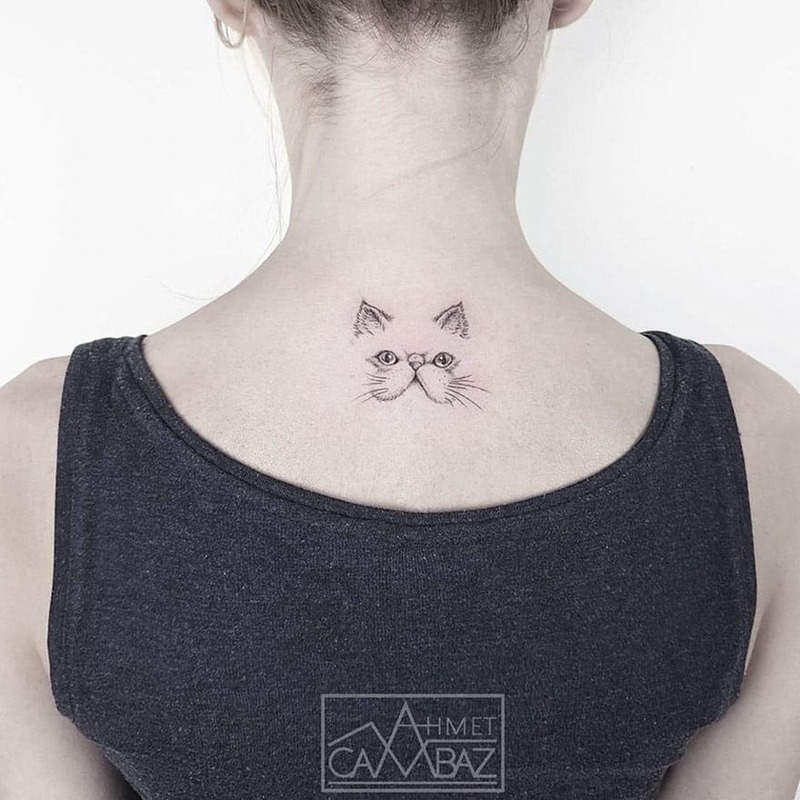 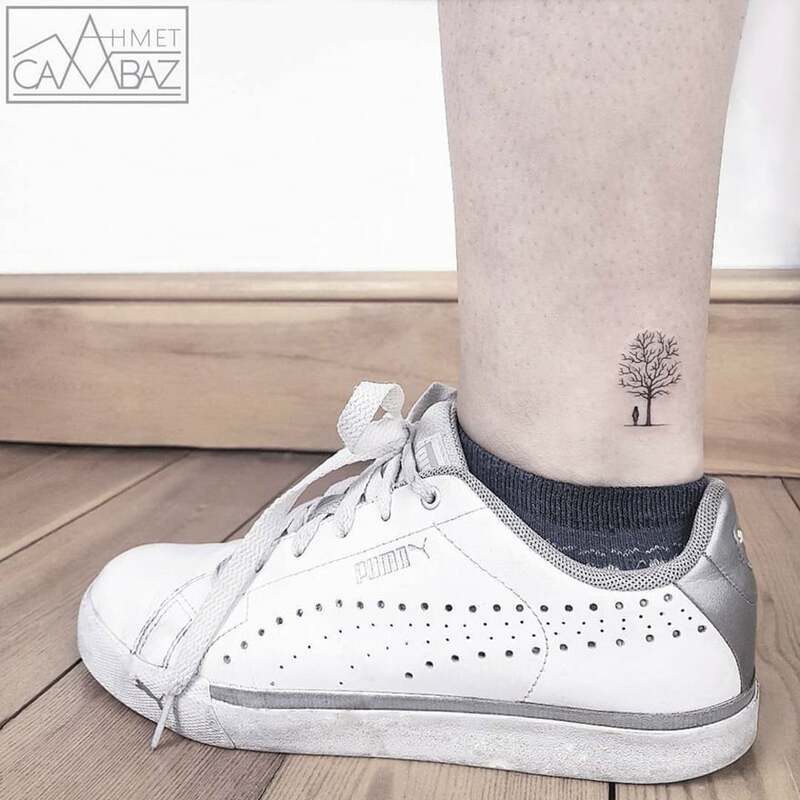 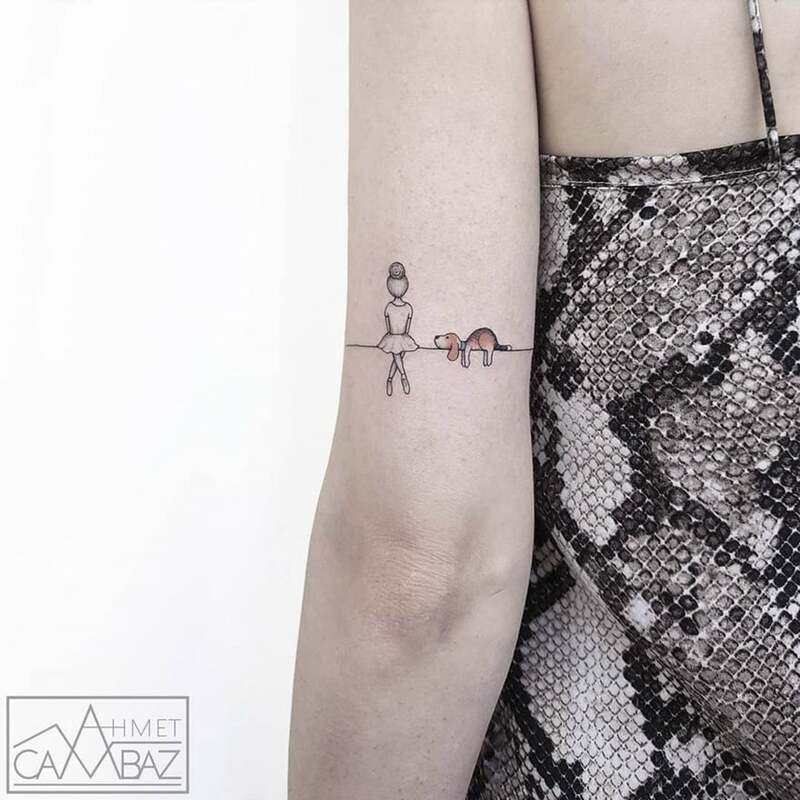 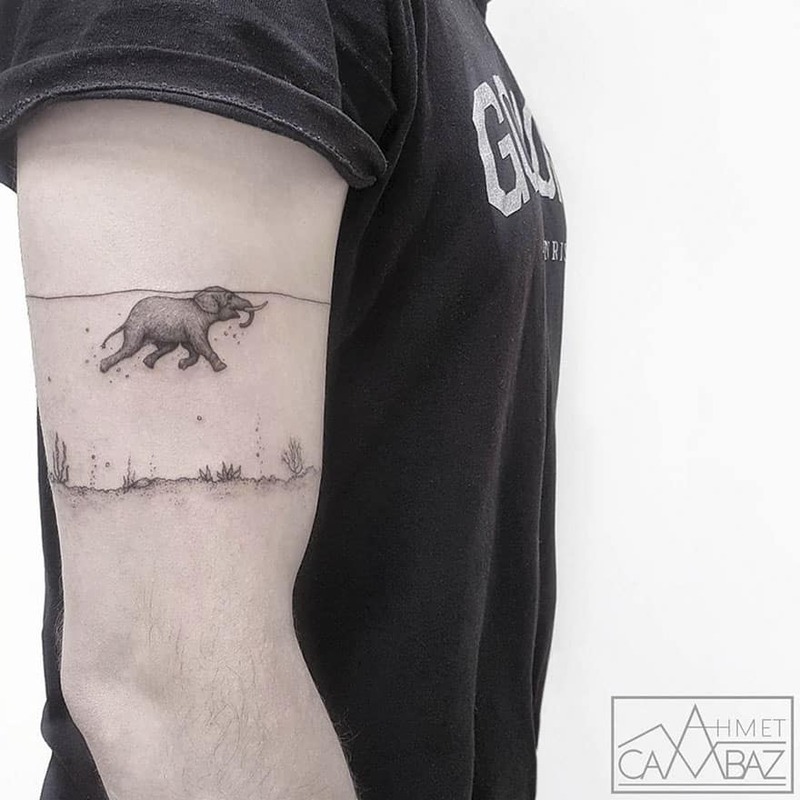 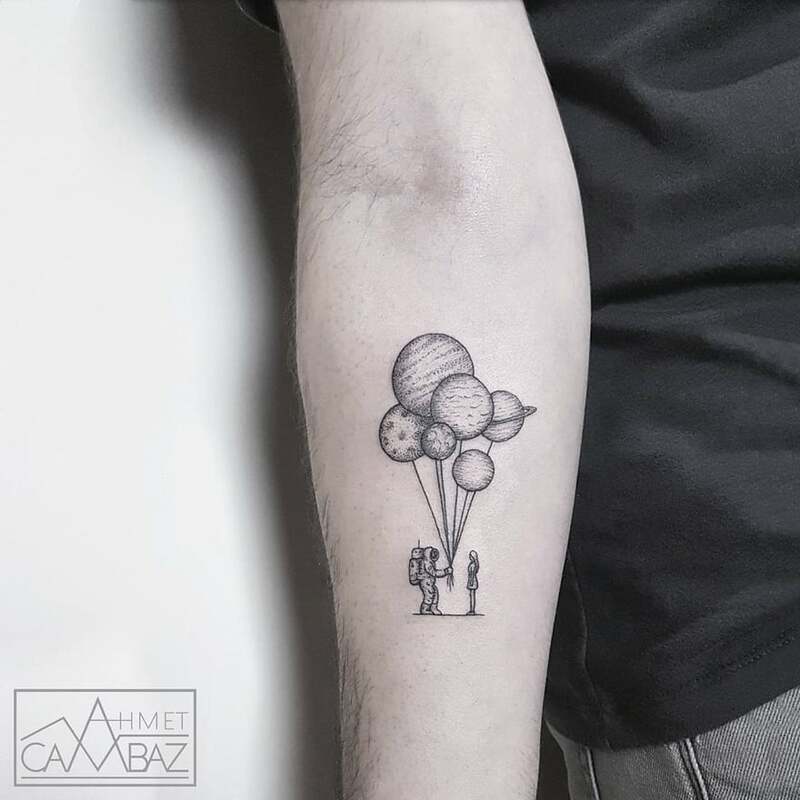 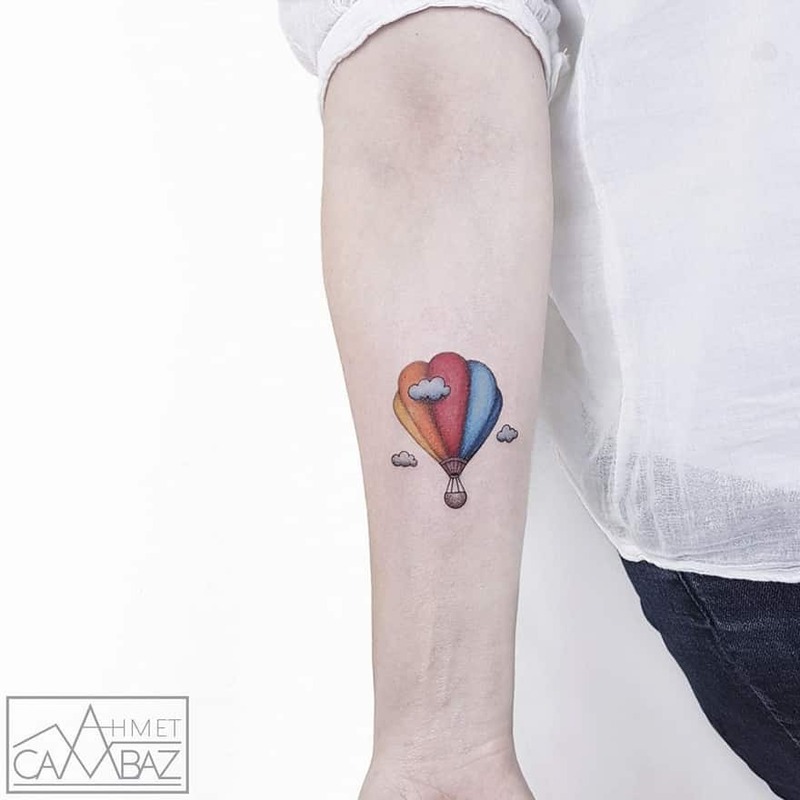 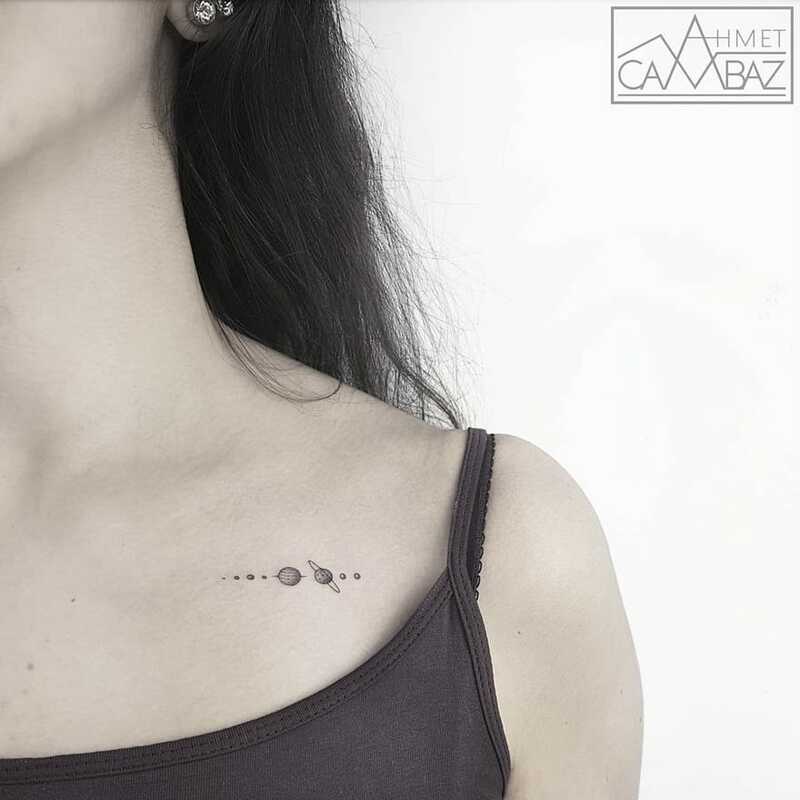 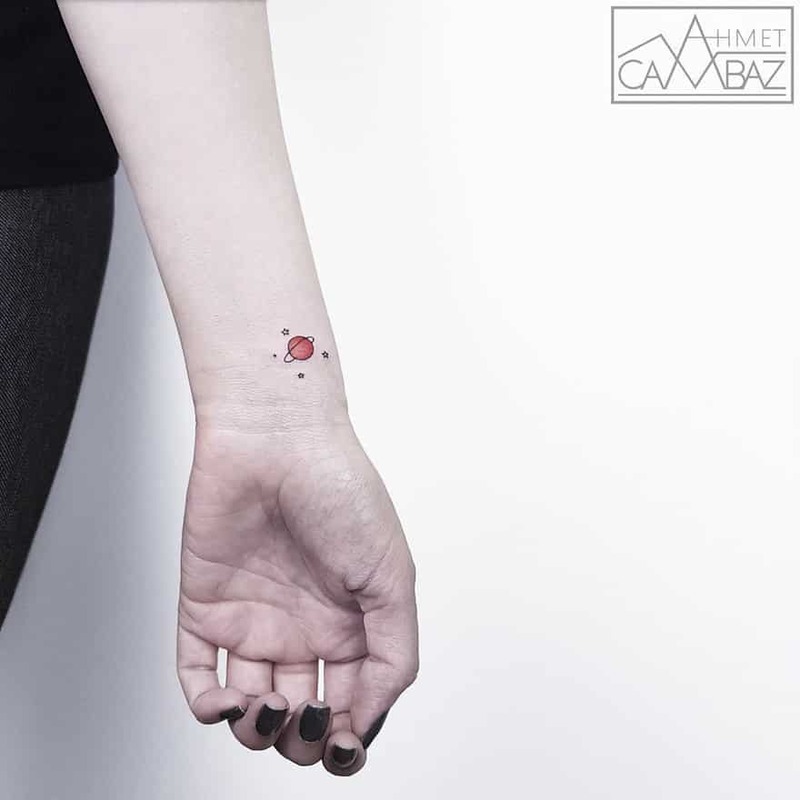 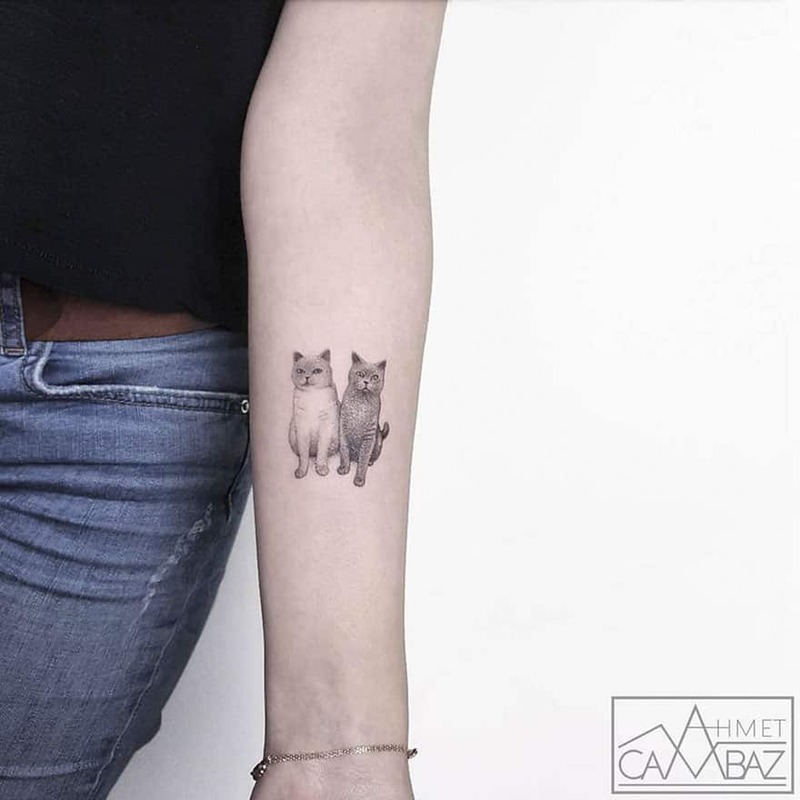 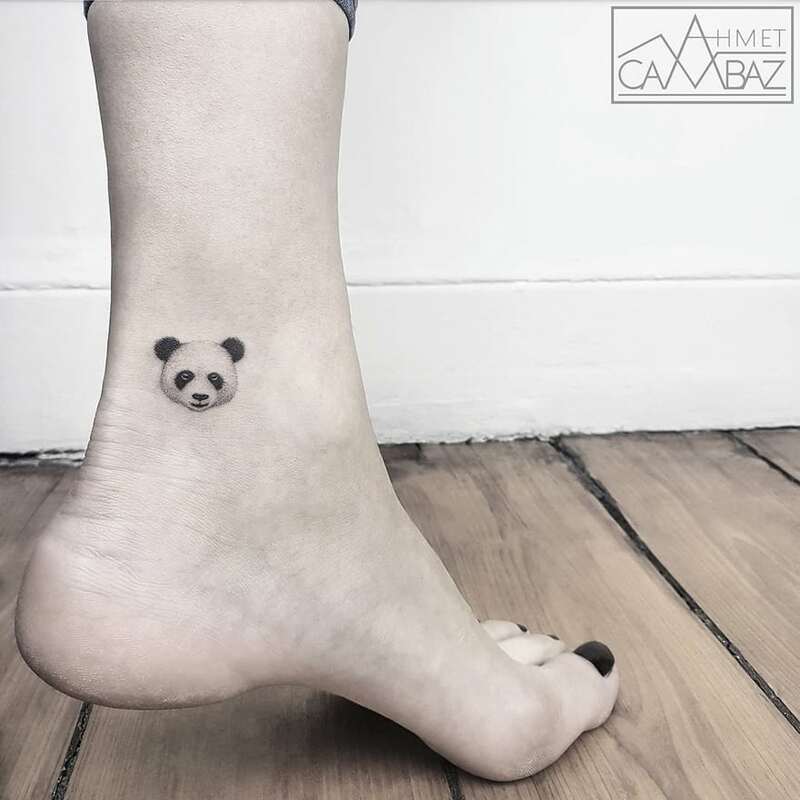 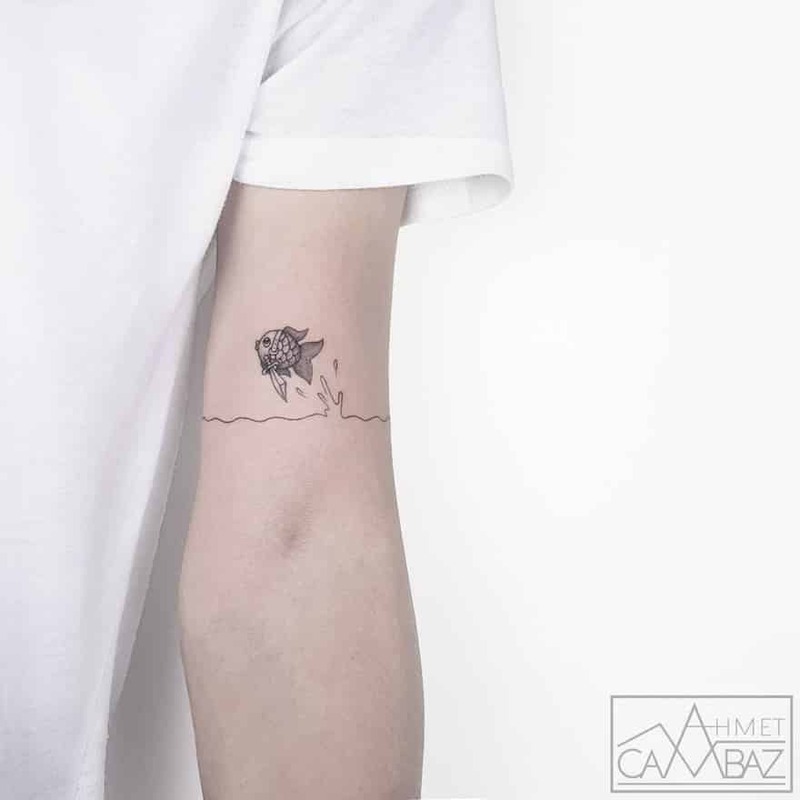 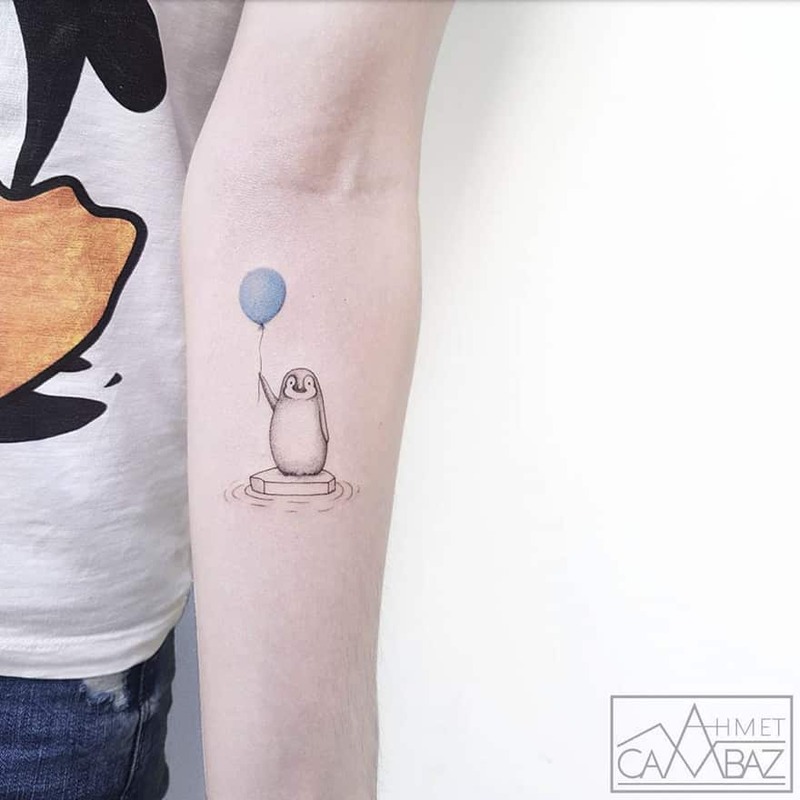 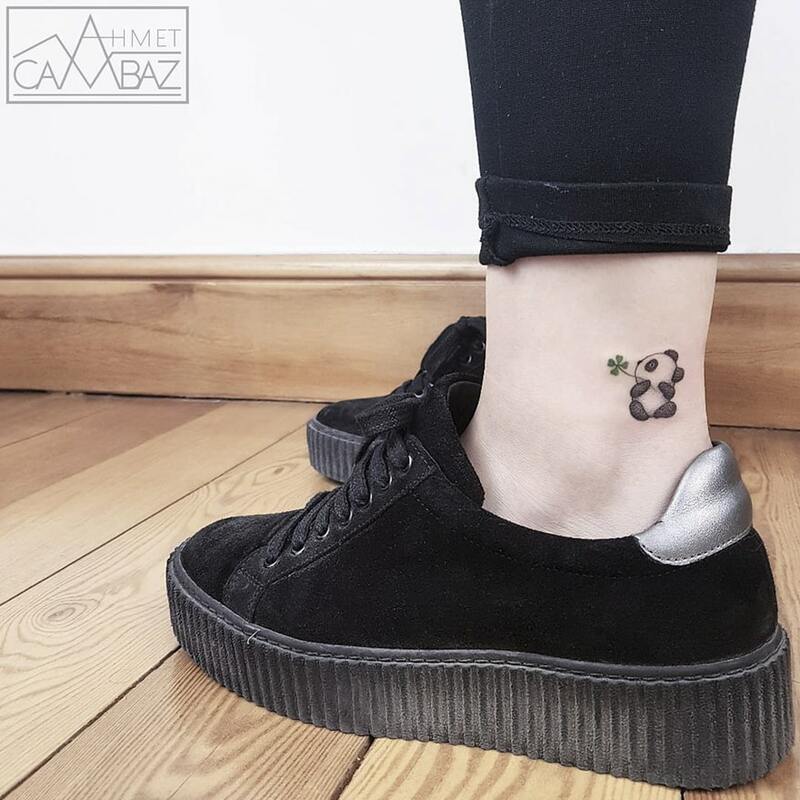 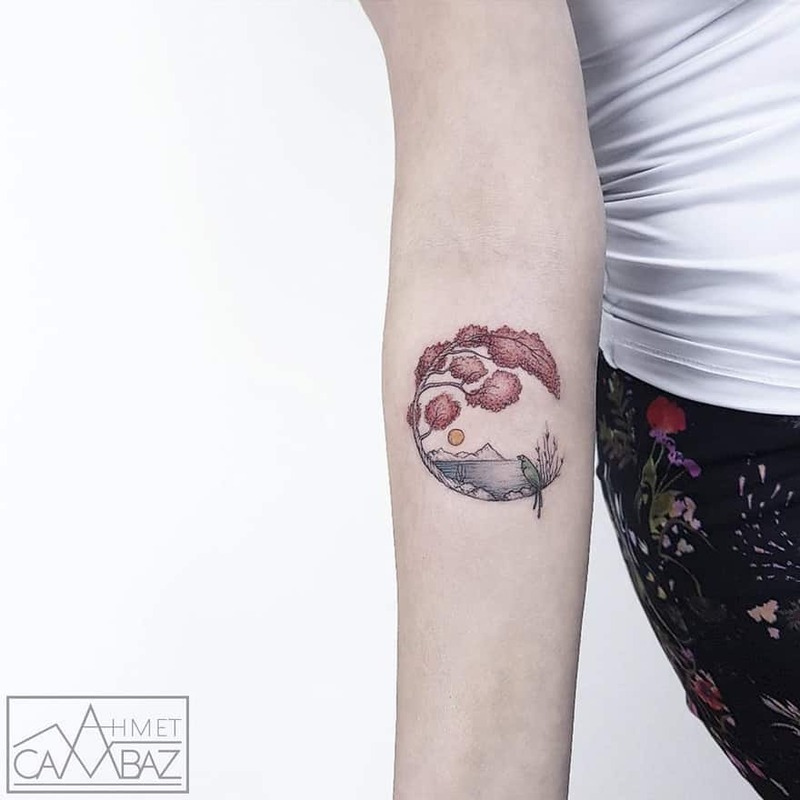 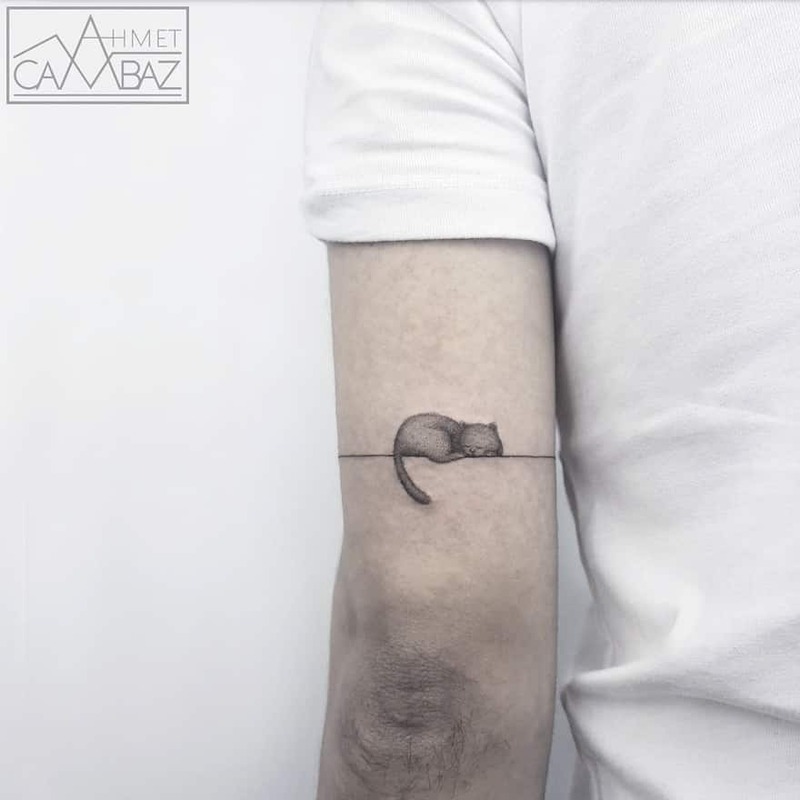 These simple yet charming tattoos are the work of Istanbul-based artist Ahmet Cambaz, whose artwork belongs within the pages of a children’s book.